Inicio Concepts of electronics What is and how does a potentiometer work? 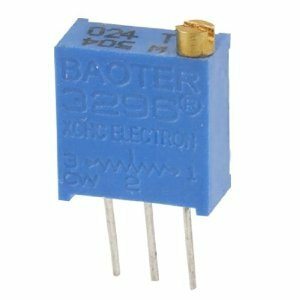 What is and how does a potentiometer work? 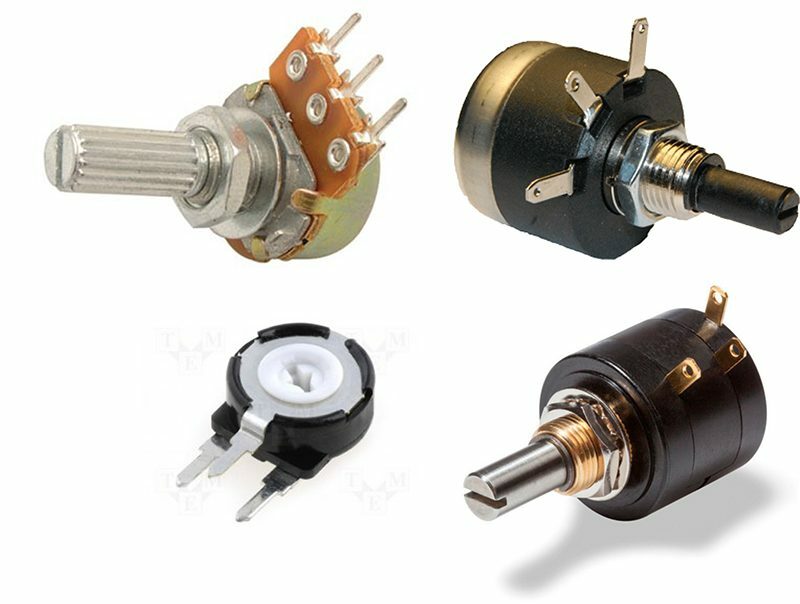 There are also other special models of potentiometers called “trimmers”, which are precision potentiometers. The trimmers are used for precision adjustments in circuits where it is required that the user can modify certain parameters. Whether a common potentiometer or a trimmer, both devices share a characteristic: they have 3 terminals (or legs). The first meter indicates the value of the upper resistance, while the second meter indicates the value of the lower resistance. Remember that a potentiometer is formed by 2 resistors in series. As we move the knob, we increase one value and reduce the other, so that the sum of both will always remain at a constant amount. So when measuring the resistance at terminals 1 and 3 the value does not change, since the variation is between 1 and 2 or between 2 and 3. At the instant in which the potentiometer is at 50% we will have the same resistivity in both resistances. That said, a potentiometer can function as a variable resistor as long as only 2 consecutive terminals of the device are considered. Below we show a video (in Spanish) which demonstrates in a practical way the resistance and voltage variations that we have already described in this document. All kinds of applications in which it is necessary for the user to modify the initial conditions and / or adjust specific parameters. For example, in the following video we show an application where a potentiometer is used to modify the sensitivity of a lamp that lights automatically when perceiving a certain level of light. The movement of the potentiometer is the one that tells the internal comparator what is the minimum level of light accepted. When the knob is moved and the light is turned on, we find the minimum level accepted. We slightly move the potentiometer backwards until the light goes out. Then, any decrease in light perceived by the sensor will cause the bulb to turn on. We can use the properties of the potentiometer to achieve many things, which depend on the creativity and ability of the person who implements this type of device. We hope that the concepts we have transmitted will be useful for you. Any questions, comments or suggestions are welcome in the comments section.